C. He can take on-the-go. I mean, he is the typical teenage boy- he gets up at the latest time that he possibly can get by with. 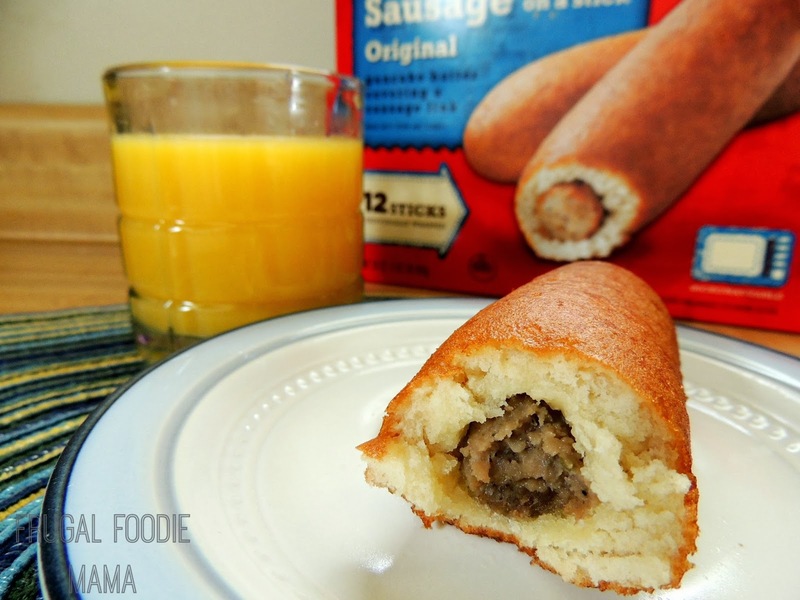 This is why I am loving these Jimmy Dean Pancakes & Sausage on a stick! They are ready in under a minute in the microwave. 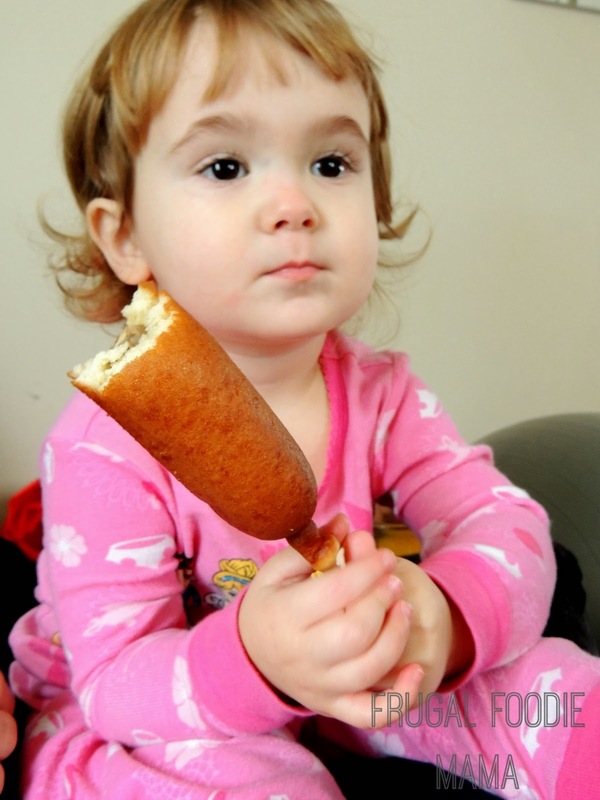 Since they happen to be on a stick, that means they are totally portable. And he is getting a hearty breakfast before (or while) heading out to the door catch the bus to school. 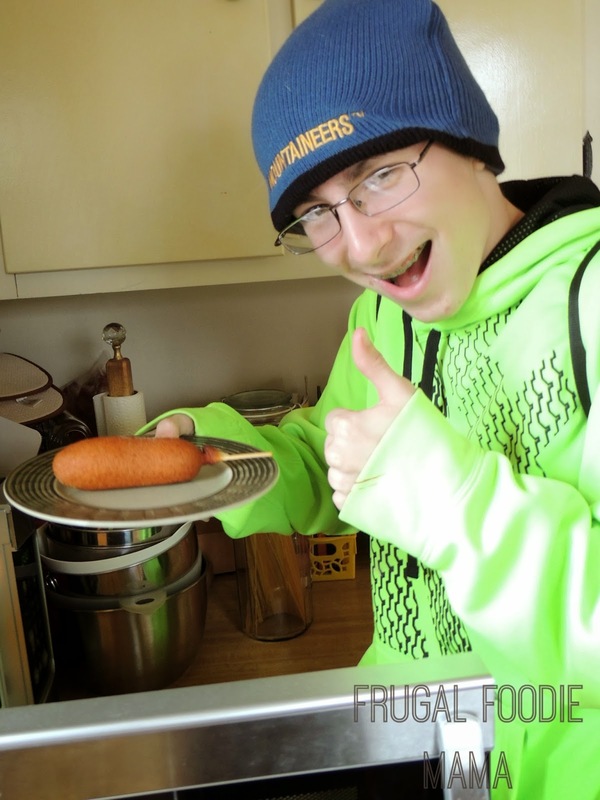 A delicious sausage wrapped in a sweet, soft pancake... on a stick! I wish I could get up with him every school morning and make sure he is eating well before heading out to a full day of school. And gets this mama up at least 3 times each night. Getting up before 7am to send him off for the day often does not happen for me. 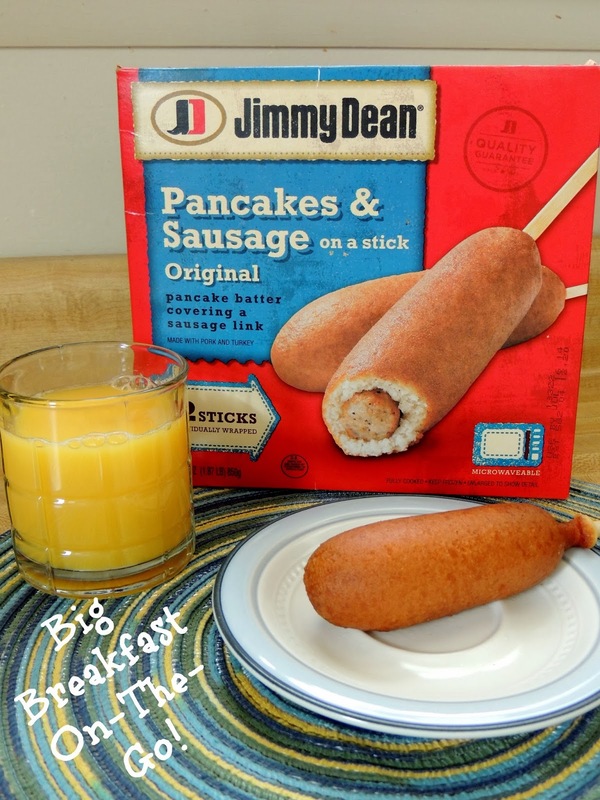 I feel better knowing we have a box of these quick, filling Jimmy Dean Pancakes & Sausage on a stick in the freezer. Bonus? Baby girl loves them too! 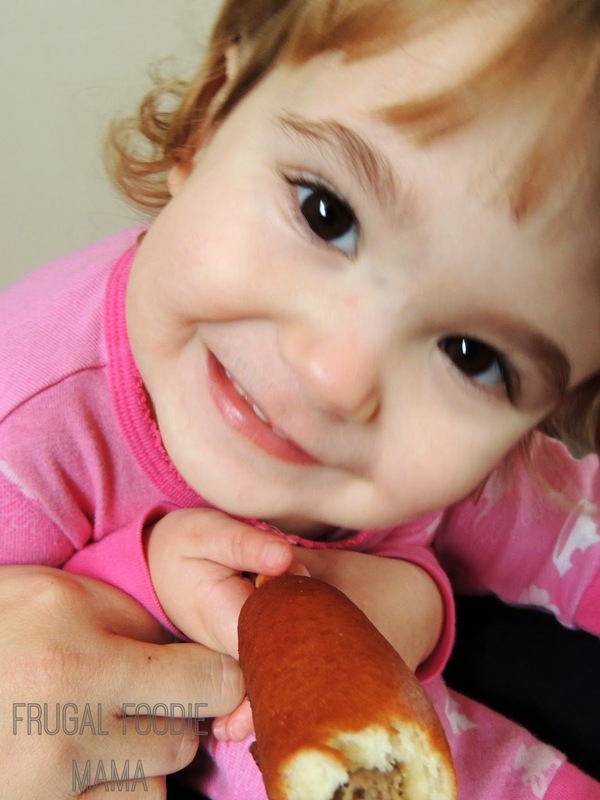 :) A fun breakfast for my little toddler who is always on-the-go! Jimmy Dean Pancakes on a stick are moving from the frozen aisle to the breakfast aisle this month at your local Walmart stores! Find more on-the-go breakfast inspiration by following Jimmy Dean on Twitter, Pinterest, & Instagram!